“Part of the problem and why the local golden era died was that the market conditions changed,” says Knopf, whose book highlights Boston television from the 1970s to the early 1990s. Knopf, who also teaches journalism at Boston University, was able to pinpoint what created this Golden Age in the Boston market. Channel 5 and Channel 7 had local owners at points during this time period which Knopf believes helped them to focus on the local community and local programming. Almost as important as how viewers got their news was who delivered it. 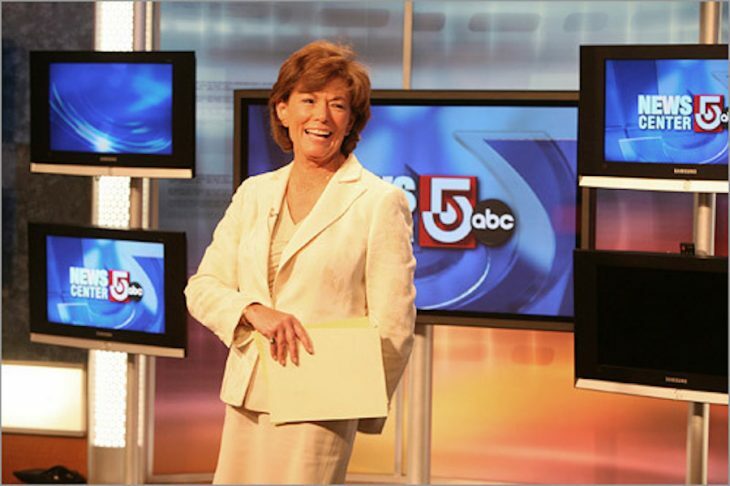 From Liz Walker and Jack Williams on WBZ-TV to Natalie Jacobson and Chet Curtis on WCVB, the Boston anchors were local celebrities in their heyday. Knopf said that back then stations experimented with daily talk shows, special topics programs, and international coverage which has largely disappeared, although the local stations do have investigate units and WCVB still produces a daily newsmagazine, “Chronicle.” WCVB and WFXT-TV Boston 25 News also recently produced prime-time news programming. Though Knopf believes returning to a Golden Age for local television in Boston seems like a far off dream, she says that small steps can be taken to help return the city’s television market to its peak viewership. Danae and Yuan are students at Northeastern University’s School of Journalism. Congratulations on your excellent report –I only wish you could have blocked out my double chin. More seriously, I’m pleased that you drew attention to how good Boston stations were and how bad (i.e. mediocre) they have mostly become. Having said all this, kudos to Ch. 5 which has distinguished itself with excellent investigative report on the latest state police scandal. I suspect your professor may have had something to with it; if nothing else, it was a reminder of how good –and important–our local stations can be. Let’s hope more is coming from WCVB and all the Boston stations. Who knows, perhaps one day one of the Boston stations will have the bright idea of having a live, local talk show!